A few years back, massage therapy was regarded as a by the way. People did not have enough knowledge about massage thus the show of disregard for it. Thanks to multiple studies conducted by experts, people have become enlightened about massage therapy and its role in nourishing the body. 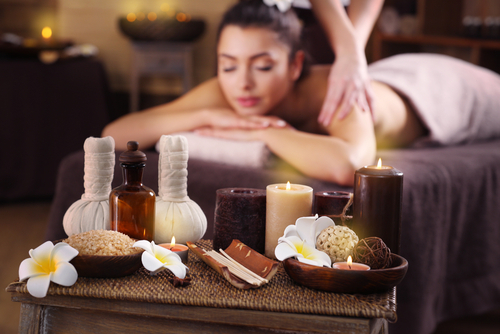 Through massage services, people are able to improve and maintain their health. There are many types and benefits of massage services as will be discussed more in this article. · Extended and gentle strokes (effleurage). The strokes are used during the beginning and end of massage therapy. · To enable a person to relax and generally feel motivated. · To alleviate muscle tension. Body pain is triggered by many factors such as cramped muscles and pain resulting from postural problems. Medical treatment when used in isolation cannot help treat body pain. Alternative forms of treatment- deep tissue massage- are needed to supplement normal medical treatment. Deep tissue massage targets the problematic sections of the body such as deep muscle tissues which when under stress lead to pain. Deep tissue massage involves intense pressure and is largely invasive in an aim to reach knotted deep muscle tissues. A masseuse strokes the deep muscle tissues while exerting enough pressure to ensure the knotted muscles are well massaged leading to healing. Due to its invasive character, deep tissue is not suitable for everyone as it can lead to body soreness rather than relaxation. It should be done when a person has assessed the potential risks and benefits with the guidance of a skilled medical practitioner. · Facilitate recovery of damaged and knotted muscles. · Eliminate neck and shoulder stiffness. It is like yoga though a person is passively involved. A massage therapist helps a person to stretch and move the body in a number of positions. The therapist uses his hands as well as the rest of his body to conduct Thai massage. The reason for using almost the entire body is to ensure adequate pressure is used to facilitate muscle flexibility and joint mobilization. · To relieve an individual of stress. · To boost one’s energy levels. · To enhance body flexibility and range of movement. · To improve the entire health of a person. Hot stone massage relies on stones for massaging purposes. 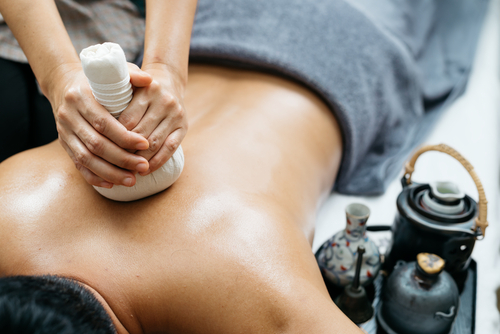 Heated stones that are of smooth texture are placed on the body when the massage is being administered. The heat from the stones is transmitted to the body leading to muscle tension relief. · To re-energize the body. Essential oils are used for different purposes. They are used as beauty products and for body detoxification. In the world of massage, essential oils such as lavender are used to make massaging more satisfying. The essential oils have a wonderful smell and healing attributes which increase the relaxing and energizing qualities of massage. · For stress relief and relaxation. Chair massage has become a popular type of massage services. If you walk into a shopping mall, you are likely to encounter chair massage services. Chair massage focuses on the upper section of the body (the shoulders, back and neck). A person usually sits on a special chair as the massage therapist attends to the upper body. It is done when one is fully dressed and no lotion is applied. 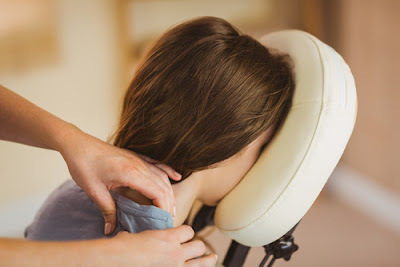 Since chair massage does not center on the entire body, it should be supplemented with other types of massage in order to secure maximum benefits from massaging. · To ease tension of the upper body section. Sports massage is beneficial before and after a sporting event. Sportsmen are rigorously massaged through the use of rapid strokes. Stretching is also part of sports massage. Just like in a Swedish massage, a masseuse can use friction in a sports massage. · To help sportspersons recover from sport related injuries. · To prepare the body for sporting activities by enhancing flexibility. · To boost the performance of sportspersons. · Improve range of motion. · Lessen muscle stiffness and pain. 1) Help in healing of sore muscles by relieving muscle pain. 2) Aid in stress management by enabling people to experience feelings of happiness leading to a healthy lifestyle. 3) Posture correction. Massage therapy leads to re-establishment of relaxed movements which lead to a normal and great posture. 4) Reduce respiratory problems that are linked to anxiety and stress. Massaging helps the body to learn how to naturally relax leading to normal breathing. 5) Increased joint flexibility which enhances flexibility in movement and minimizes our exposure to injuries. 6) Massaging ensures quick recovery after an injury by maintaining body strength and flexibility. 7) Increased lifespan of a person as massaging strengthens the immune system. In conclusion, massage helps people to relax and connect with their inner selves. But massage should not be viewed as a substitute for health treatment. Besides, if you are an expectant woman or you have a medical condition, consult a medical expert before having massage therapy. This is to prevent occurrence of risks-pain and soreness- that are associated with massage if one is not in good health.